Denmark’s Myrkur has been subjected to a whopping amount of gossip. Mysteriously appearing with hardly a whisper of a demo, this one-woman black metal project heralded her arrival with a handsome signing to Relapse Records. Myrkur’s real name and musical background remained elusive, with blog posts being dedicated simply to deducing her identity. When tracks from her self-titled debut became available, her music wasn’t just causing gossip, it was turning heads. Myrkur is the alias of Amalee Bruun, whose origin is certainly unusual in terms of black metal, with her other occupations including modeling for Chanel and being half of the indie pop duo, Ex Cops, however her secrecy and resume go out the window when a debut is done with such aplomb. In various interviews, Bruun expresses her inspiration as being drawn from the land and spirit of Scandinavia, channeling that energy into her music. In those same interviews, she cites as influences Norwegian outfits Ulver and Darkthrone, bands known for their affection for their homeland. Conceptually, her sound approaches the latter’s album, Goatlord, where drummer/vocalist Fenriz utilized pitch-shifted feminine croaks in addition to his signature screeches. Recorded at a time when Darkthrone were wedged between death metal and black metal, Goatlord is an experimental, unexplored concept. Myrkur is that album’s harshness stripped bare, the femininity allowed to shine. Where Fenriz achieved middling results, Bruun showcases the ability to tame the blackened snarl of her forebears, while achieving towering results with her clean vocals, which are the EP’s backbone. Her tonal range evokes theatricality and ferocity, and makes operatic displays in each song. In addition to recalling earlier, experimental Darkthrone, Myrkur is Ulver’s debut, Bergtatt, revisited. The seven tracks are wrapped in a light static, the vocals howling above the churning darkness. While this EP is devoid of the acoustics that permeated Ulver’s second album, Kveldssanger, Bruun utilizes the same folkish tone found on that album and Bergtatt. 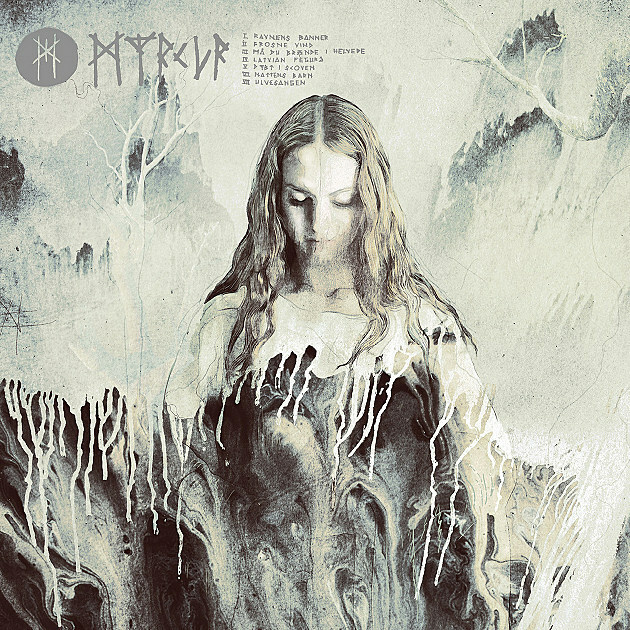 In terms of song length, Myrkur does not succumb to Bergatt’s gluttony. Penultimate track, “Nattens Barn,” clocks in at less than six minutes, weaving the album’s smoothest and coarsest threads into one tapestry. Bruun’s vocals dance with the guitars, a series of radiant explosions that arc high, only to plummet into thoughtful shadows, the tremelo-picking humming alongside Bruun’s ascendant choruses. The mechanical cadence of the drums, which are devoid of personality, are only present in function to compliment the majesty demonstrated by her voice and the rest of the instrumentation. The tempo moves at a calculated pace, the dark injected with increasing doses of allure, making “Nattens Barn” easily Myrkur’s best track—no wonder they picked it for a music video. When considering her clear and concise reverence for the style, Bruun’s secrecy does not come as a surprise. Like Darkthrone’s refusal to play live, Ulver’s avant-garde deviations or Gorgoroth’s lyric-less releases, she follows a tradition of simply letting the music speak for itself, creating a debut of exemplary black metal from an informed artist intent on not making much-ado about it.